On Arrival for a Church Service – St Vincent's Chapel, Edinburgh, the village church in the heart of the city. 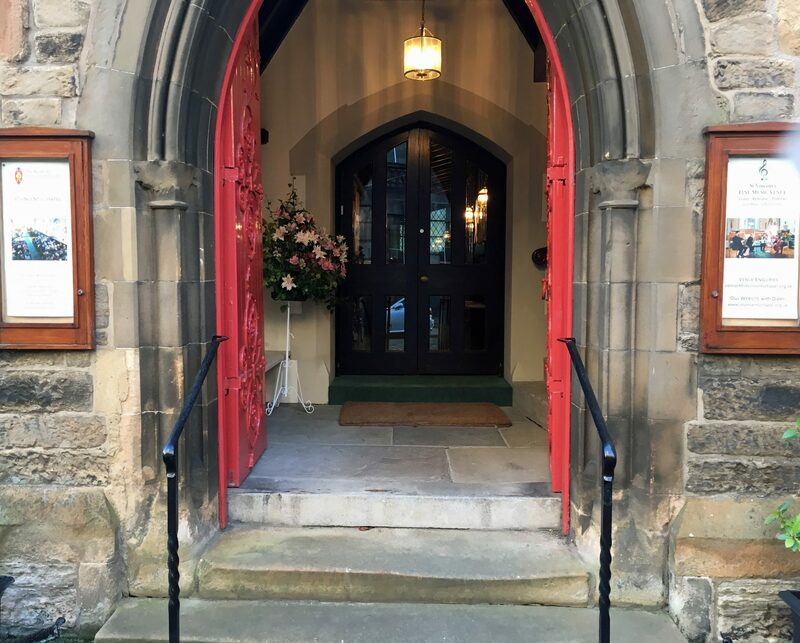 Welcome to the front door of St Vincent’s Scottish Episcopal Chapel, built in 1857. Metal ramps are readily available for easier access. 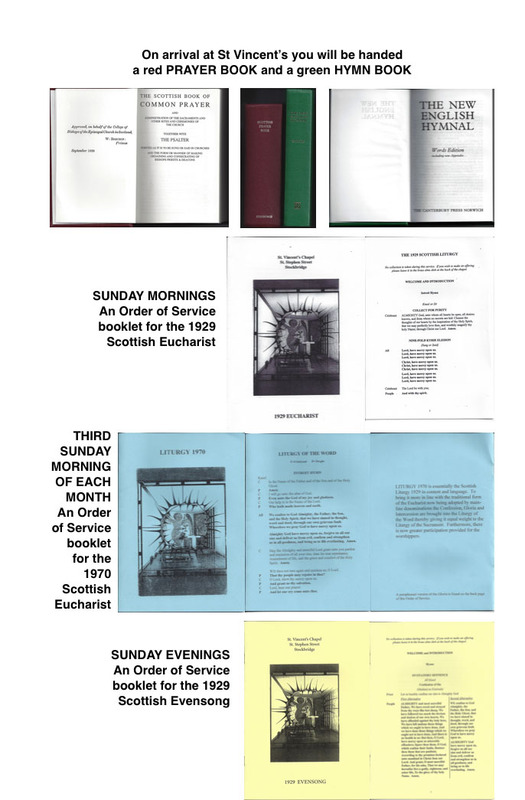 On arrival in the Vestibule of St Vincent’s, the service books you need will be given you or you collect them yourself. 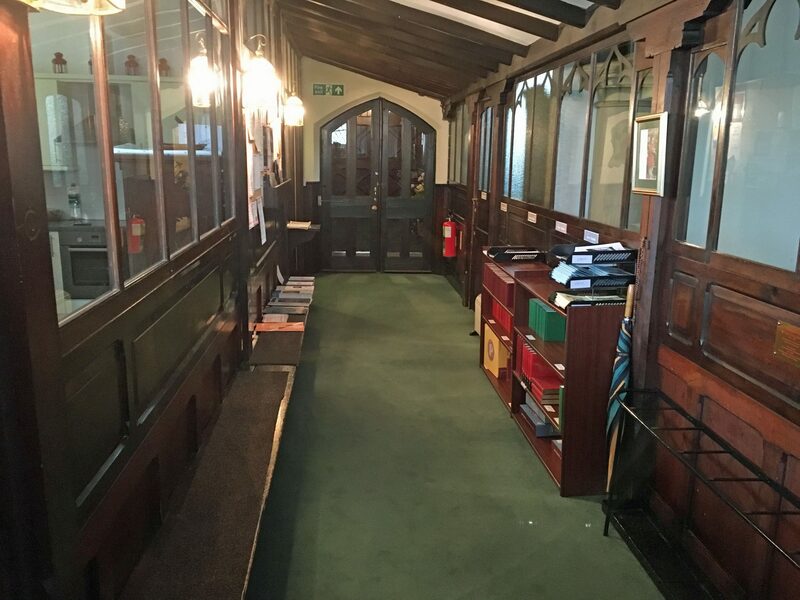 In this picture the main door is at the far end, with the Church to the right and Refectory and toilet to the left. 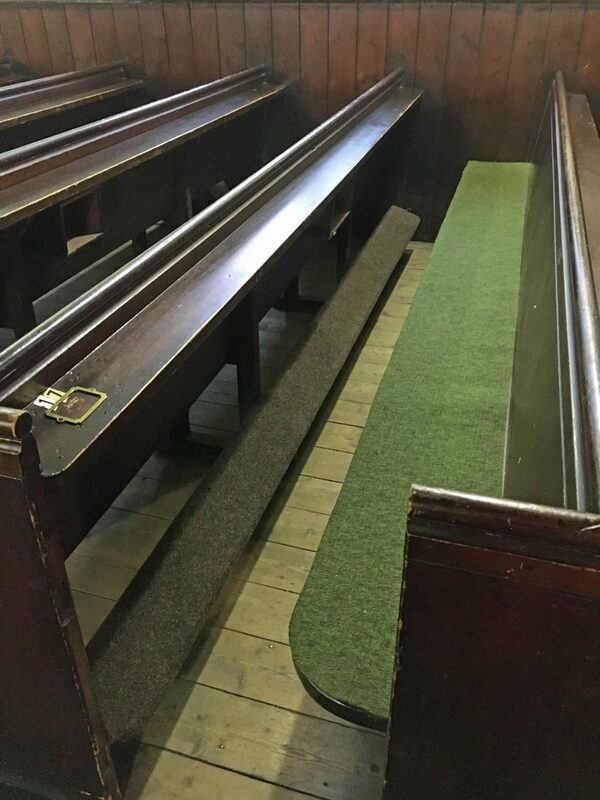 It’s easy to kneel to pray in the pews at St Vincent’s.